Introducing the new Canon imageRUNNER ADVANCE multifunctional devices. From your Canon imageRUNNER ADVANCE device, you can scan to, access, or print documents directly from the cloud. In addition, business process workflows can be implemented on a cloud-based system. View Web pages directly from the device control panel. Just enter a URL to browse pages. Easily output Web pages and online PDFs. Print from, and scan to, your mobile device at your Canon imageRUNNER ADVANCE system. Enjoy even greater control and convenience right from your PC with the ability to manage, prepare, and monitor documents without even opening an application. Combine multiple formats, preview files, and select the finishing functions. With drag-and-drop simplicity, you can print, fax, and convert files to PDFs. Even check the status of your Canon imageRUNNER ADVANCE system. A responsible way to work. Canon knows that the workplace needs a greener workflow. And the next-generation imageRUNNER ADVANCE Series delivers just that. Even when you’re seamlessly sharing and distributing digital documents with organizations around the globe, you’re in control of precious resource consumption. 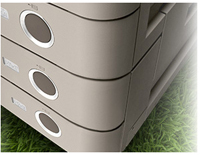 This Series lets you use only the paper, toner, and energy you need to help decrease your environmental footprint. All next-generation imageRUNNER ADVANCE models are rated in EPEAT, the definitive global registry for greener electronics. The standby energy consumption of Canon’s new devices is just 3w, compared to 690w for older devices*. iW Desktop is a unique document publishing solution which makes it easy to stand out from the crowd. It allows you to quickly, easily and efficiently create professional-looking and personalised documents in-house – in next to no time. Perfect for everything from sales proposals to reports, to information packs and handouts. Creating documents like sales reports and proposals takes time, especially when the information comes from different sources and in both digital and hard copy format. First, content must be sourced, structured and personalised, before printer settings are defined– a fiddly, time-consuming process. With iW Desktop however, everything is handled effortlessly in just a few simple steps. Now it’s easy for everyone in your office to create professional-looking finished documents. Canon’s iW Desktop allows you to do it from the comfort of your desk in seconds, saving the costs, time and hassles of outsourcing. Plus, as you only print what you need, there’s never any unused collateral - unlike when you order from a print supplier and over-estimate the quantities required. 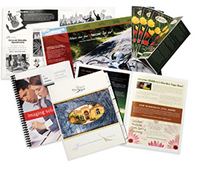 Give your business a competitive edge by producing professional-quality presentations, reports, and newsletters. Through Canon’s state-of-the-art imaging technology and toner, image quality is stunning. You can easily generate accurate, high-impact color or crisp black-and-white results on demand. Canon's proprietary ZIMA chip offers superb, high-quality copies. And with the extensive array of finishing capabilities available on the imageRUNNER ADVANCE Series, the possibilities are virtually endless. The imageRUNNER ADVANCE Series offers advanced job and color management capabilities that streamline your workflow and ensure outstanding results. With "drag-and-drop" simplicity, you can easily merge, edit, or reassemble content from several sources into a single, cohesive document. Preview jobs at the device or at your desktop before they're printed, and easily monitor print jobs from submission to completion. With the ability to retain settings, documents are reprinted with great consistency and speed. Whether you manage a fleet of devices or a single unit, you have the power to configure a system, safeguard data, and track resources right at your fingertips. Whether you are a small office or a large enterprise, you’ll find that the imageRUNNER ADVANCE Series' serverless print environment offers cost-effective, efficient solutions that help safeguard your data. Users can print to any connected MFP or SFP device, and retrieve their documents after log-in authentication at any device. Administrators can dramatically limit data leakage by tracking use by individual or by department. 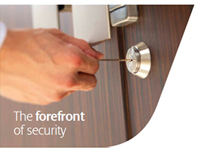 Canon’s multilayered security solutions offer you peace of mind. At every step, the imageRUNNER ADVANCE Series safeguards information. HDD Erase removes latent images from hard drives after each task. A security chip with tamper-resistant hardware protects passwords and encryption keys. IPsec secures data as it traverses the network. And HDD Lock and optional HDD Data Encryption help protect information even after hard drive removal. Built on the success of its predecessor – which sold approx. 250,000 units in EMEA since its launch in 2009 – the new imageRUNNER ADVANCE platform provides customers with a unique set of capabilities for improved access control, personalisation, service efficiency, as well as mobile and cloud connectivity, through a new suite of powerful software applications. Key features that were previously optional, such as searchable scan file formats and secure hard disk erase, now come as standard offering unparalleled value for money. In addition, Canon’s simple serverless log-in solution – Universal Login Manager – is available on all new imageRUNNER ADVANCE devices to offer user-level personalisation, usage tracking and access control.